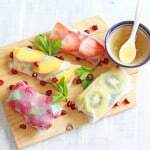 A delicious and healthy summer fruit dessert and a great twist on the classic spring roll! 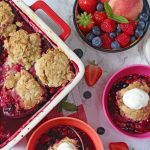 If you are desperately trying to get your kids excited about fruit desserts then this recipe is for you! Not only will this twist on the classic spring roll recipe help to spark your children’s imagination when it comes to their food, it is also a great recipe to get them involved in making. Start by chopping your fruit. It is up to you how you chop and present your fruit in the spring roll. I decided to cut the apple and mango in long, thin strips, almost like matchsticks. I then sliced the strawberries and kiwi into rounds and cut the peach into thin wedges. You can leave the raspberries whole. Place all the fruit on a plate ready to make into spring rolls. Next you will need to prepare the rice paper wrappers by submerging them one at a time in hot water for 2-3 minutes until they are soft and malleable. Immediately transfer the soft rice paper to a large plate and start to fill your spring rolls. Choose either strawberries, kiwi, raspberries or peach to lay down first and then directly onto of your chosen fruit place a few sticks of apple and mango, followed by some pomegranate seeds and a couple of mint leaves. Repeat for each spring roll, making one at a time. I kept the spring rolls quite small so that they would be easier for young children to eat but you can stuff them so that they are a lot fuller if you wish! Quickly make the dressing by mixing the honey and lime juice together in a bowl and serve with the fruit spring rolls. Really looking forward to trying these in the summer. They look beautiful. Such a beautiful way to eat and present food! 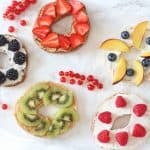 Those are beautiful and look delicious! What a brilliant idea Ciara. I love it. Oh this is interesting! It really is a great idea especially for summer! Yes, perfect for summer desserts! 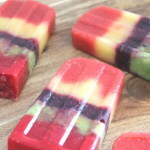 They look lovely – I’ll have to try them with the Brownies on holiday! Thanks Penelope. Hope you all enjoy them! Love the idea!! Perfect for a summer dessert! Absolutely. They just scream summer don’t they! These little parcels look so pretty with the fruit.I am sure they must have tasted delicious too. They were Nayna. So so good! 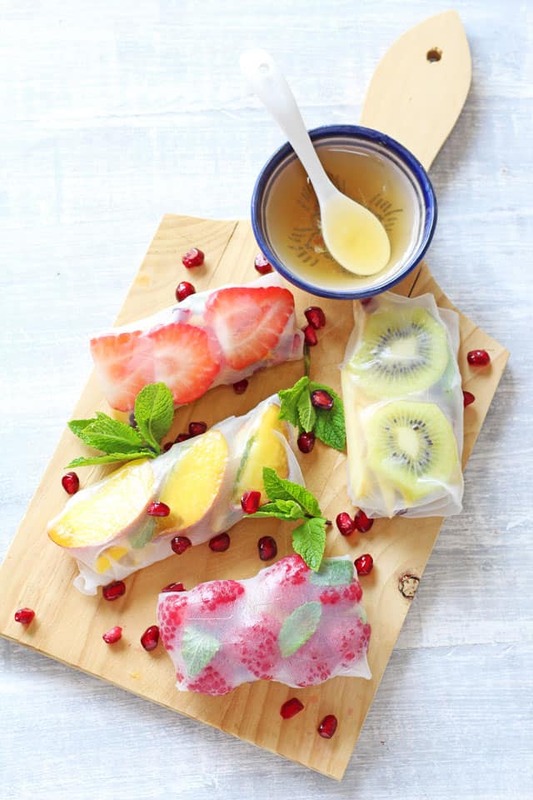 Fruit spring rolls?! What a cute and creative idea 😀 I just discovered your website and absolutely love it!! Thanks Dannii, yes they are so good for summer. The perfect dessert!